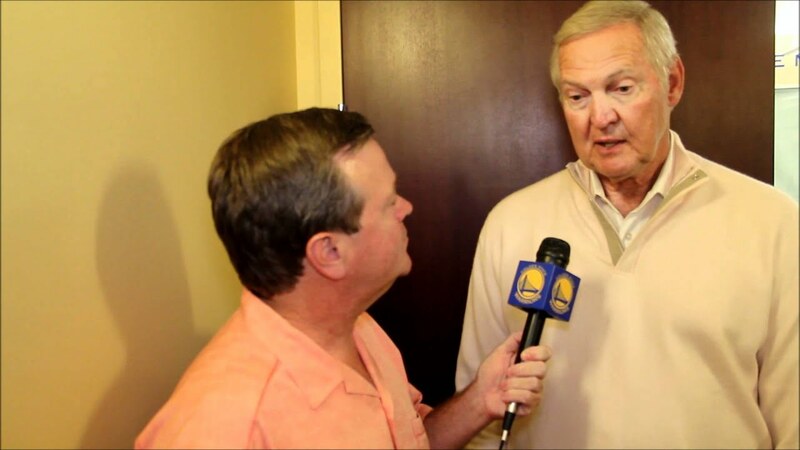 One of the most successful and respected figures in the history of the NBA, Jerry West joined the Golden State Warriors as an Executive Board member on May 20, 2011. In this role, West assists the team’s ownership group and represents the organization in a wide variety of team-related functions. The position encompasses various areas and responsibilities, ranging from basketball operations to business, sponsorship and marketing endeavors. He reports directly to owners Joe Lacob and Peter Guber and travels to the Bay Area frequently while maintaining his Los Angeles-based residence. 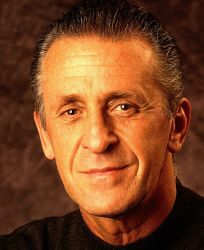 West, 77, owns a list of accomplishments as both a player and front office executive that is unmatched in league history: eight NBA Championships as a player, executive or special consultant, two NBA Executive of the Year awards, 14 NBA All-Star appearances, 10 First Team All-NBA selections, election into the Naismith Memorial Basketball Hall of Fame, named one of the 50 Greatest Players in NBA History, and the list goes on…. 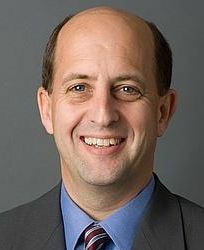 During a historic 18-year run in the Lakers front office, both as general manager (from 1982-1994) and executive vice president of basketball operations (1995-2000), West’s teams captured four NBA Championships (1985, 1987, 1988, 2000) and made eight trips overall to the NBA Finals. 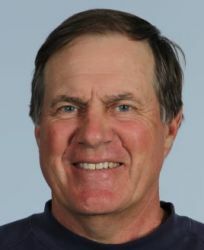 Additionally, following his departure after the Lakers’ 2000 NBA title, the team that he had built completed its three-peat by capturing two additional NBA Championships in 2001 and 2002. 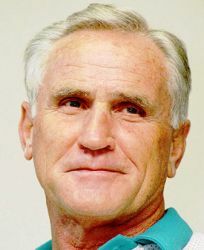 When the Los Angeles Lakers were in the midst of winning five NBA titles en route to earning professional sports’ “Franchise of the Decade” honors during the 1980s, West, in his typical modest fashion, deflected any credit for the team’s astounding success. According to the Lakers’ master architect, his value as a general manager/player personnel guru would be judged at the end of the Showtime era, when it was time to rebuild the franchise. Mission Accomplished. After winning the last of three titles in a four-year span in 1988, the Lakers, with West revamping and re-tooling the roster, remained extremely competitive while piecing together the nucleus of the teams that would dominate the early part of this century. 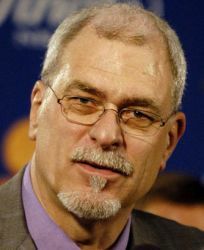 During that period, West earned NBA Executive of the Year honors for the first time following the 1994-95 campaign, a long-overdue accolade for a man who helped guide the Lakers through one of the greatest decades in sports history and once again positioned the team among the NBA’s elite. 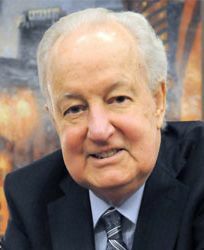 Known for his shrewd personnel moves and trades, West then made his biggest acquisitions in the summer of 1996, when he signed superstar Shaquille O’Neal to a free agent contract and later traded center Vlade Divac for the draft rights to fellow superstar Kobe Bryant, making the Lakers a championship caliber club once again. 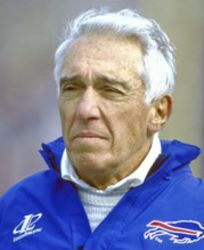 Overall, West was affiliated in one capacity or another with the Lakers for seven of their Championships in Los Angeles (four titles as an executive, two as a special consultant and one as a player). 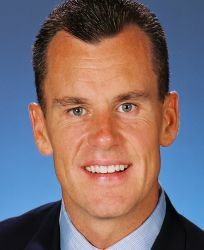 After leaving the Lakers in 2000, West joined the Memphis Grizzlies as the team’s president of basketball operations in 2002. Two years later, in 2003-04, the Grizzlies engineered one of the greatest turnarounds in league history, winning 50 games and making the playoffs for the first time in franchise history. 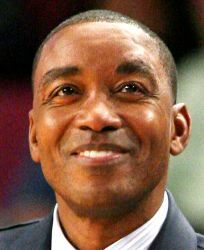 Following that season, West was rewarded with the NBA’s Executive of the Year award for the second time in his career. Overall during his five-year stint in Memphis, the Grizzlies made three Western Conference playoff appearances. Appropriately dubbed “Mr. Clutch” because of his uncanny ability to produce with the game on the line, West established himself as one of the greatest players in NBA history throughout his brilliant 14-year NBA career. Spending each of those 14 seasons with the Lakers, he led the team in scoring seven times, averaging 30-plus points on four occasions – highlighted by a career-high 31.3 ppg during the 1965-66 campaign. In fact, West had the unique distinction of being the oldest player in league history to average more than 30 points a game (31.2 in 1969-70, 31 years old) until Michael Jordan eclipsed that mark in 1995-96 (30.4 ppg, 33 years old). When he retired following the 1973-74 season, he had become only the third player in league annals to surpass the 25,000-point plateau, finishing with a career scoring average of 27.0 ppg, which still ranks fifth-best in NBA history. The 16th leading overall scorer in NBA history (25,192 points), West was the Lakers’ all-time scoring leader until being surpassed by Bryant on February 1, 2010. At the time of his retirement, he was the NBA’s career playoff leader in scoring average with a mark of 29.1 ppg, which currently ranks third all-time. Additionally, West, who is featured in a silhouette on the NBA’s logo, established a long-standing league record by scoring 20-plus points in 25 consecutive NBA Finals games (between 1966-1970), a record which was eclipsed by Jordan in 1998. Included among West’s many outstanding accomplishments as a player were several incredible feats, notably the compiling of a 40.6 scoring average during the 1965 playoffs (11 games) – including an all-time NBA record 46.3 average during a six-game series vs. Baltimore – and the sinking of a 60-foot shot as time expired to send Game 3 of the 1970 NBA Finals vs. New York into overtime (4/29/70). He was also a member of the Lakers’ first NBA Championship team in Los Angeles in 1972, helping the Lakers to a 69-13 regular season record and a 33-game winning streak, an all-time professional sports record. Additionally, he led the NBA in assists (9.7 apg) during the 1971-72 campaign, and holds the NBA record for most free throws made in a single season (840 in 1965-66). Selected to the All-NBA First Team 10 times and the NBA’s All-Defensive First Team four times, West was also selected to 14-consecutive All-Star Games during his career, capturing MVP honors in the 1972 classic at the Los Angeles Forum. West was inducted into the Naismith Memorial Basketball Hall of Fame in 1979, named to the NBA’s 35th Anniversary Team in 1980 and was selected one of the 50 Greatest Players in NBA History in 1997. His #44 jersey was retired by the Lakers on November 9, 1983, and a statue of his likeness was erected outside the Staples Center in Los Angeles on February 18, 2011, during NBA All-Star Weekend. 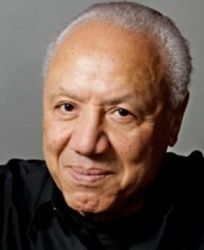 Following retirement from his playing career at the conclusion of the 1973-74 season and a two-year hiatus from the rigors of the NBA, he returned to the Lakers for the 1976-77 campaign, replacing Bill Sharman as the club’s head coach. In his initial year, the Lakers posted an NBA-best 53-29 record, qualifying for the playoffs for the first of 17-consecutive seasons. Overall, the Lakers posted a 145-101 record during his three years at the helm (.589). 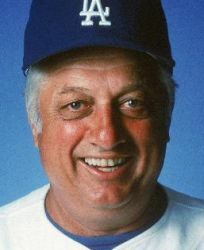 Following his three-year coaching tenure, West spent three years as a special consultant with the Lakers (1979-82), before being elevated to general manager prior to the 1982-83 campaign. 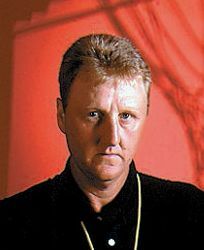 Prior to the 1995-96 season, West was named executive vice president of basketball operations, a position he held for five seasons. 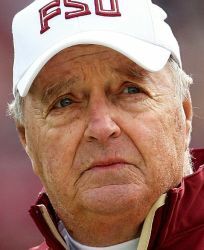 West attended West Virginia University (1956-60), where he was a two-time All-American and concluded his collegiate career with a 24.8 scoring average. 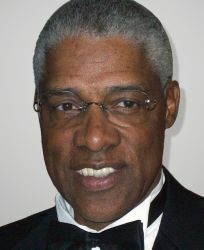 Following his senior year, he became the Lakers’ first round pick (first-ever pick in Los Angeles Lakers history) in the 1960 NBA Draft (second pick overall). 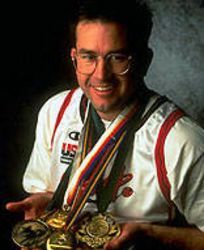 Before entering the NBA, Jerry served as co-captain of the gold-medal winning U.S. Olympic basketball team in Rome in 1960. He was also a member of the victorious U.S. squad in the 1958 Pan-Am Games. Born May 28, 1938, in Chelyan, West Virginia, West first garnered national attention as a high school star. As a senior, he led East Bank High School to the state title and became the first prep player in the state’s history to register more 900 points in a single season (32.2 ppg). Jerry and his wife, Karen, reside in Bel Air, California, and have two sons, Ryan and Jonnie. He has three other sons, David, Mark and Michael, from a previous marriage. Jerry also has three grandchildren. Contact a speaker booking agent to check availability on Jerry West and other top speakers and celebrities. HOW TO BOOK Jerry West? Our booking agents have successfully helped clients around the world secure talent like Jerry West for speaking engagements, personal appearances, product endorsements, or corporate entertainment for over 15 years. The team at All American Entertainment represents and listens to the needs of organizations and corporations seeking to hire keynote speakers, celebrities or entertainers. Fill out a booking request form for Jerry West, or call our office at 1.800.698.2536 to discuss your upcoming event. One of our experienced agents will be happy to help you get pricing information and check availability for Jerry West or any other celebrity of your choice. HOW MUCH DOES IT COST TO BOOK Jerry West? 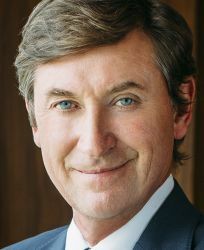 Booking fees for Jerry West, or any other speakers and celebrities, are determined based on a number of factors and may change without notice. Pricing often varies according to the circumstances, including the talent's schedule, market conditions, length of presentation, and the location of the event. Speaker fees listed on this website are intended to serve as a guideline only. In some cases, the actual quote may be above or below the stated range. For the most current fee to hire Jerry West, please fill out the booking request form or call our office at 1.800.698.2536 to speak with an experienced booking agent. 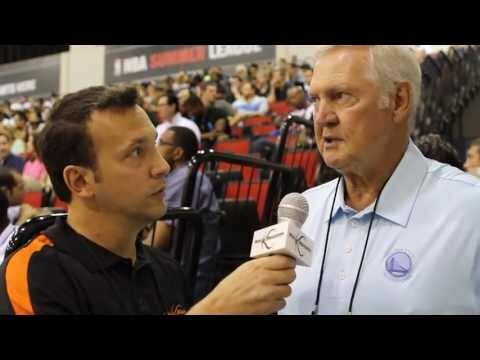 WHO IS THE AGENT FOR Jerry West? All American Entertainment has successfully secured celebrity talent like Jerry West for clients worldwide for more than 15 years. As a full-service talent booking agency, we have access to virtually any speaker or celebrity in the world. Our agents are happy and able to submit an offer to the speaker or celebrity of your choice, letting you benefit from our reputation and long-standing relationships in the industry. Fill out the booking request form or call our office at 1.800.698.2536, and one of our agents will assist you to book Jerry West for your next private or corporate function. All American Speakers is a "buyers agent" and exclusively represents talent buyers, meeting planners and event professionals, who are looking to secure celebrities and speakers for personal appearances, speaking engagements, corporate entertainment, public relations campaigns, commercials, or endorsements. We do not exclusively represent Jerry West or claim ourselves as the exclusive booking agency, business manager, publicist, speakers bureau or management for Jerry West or any other speaker or celebrity on this website. For more information on how we work and what makes us unique, please read the AAE Advantage. 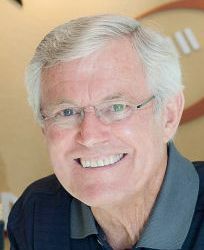 Jerry West is a keynote speaker and industry expert who speaks on a wide range of topics . The estimated speaking fee range to book Jerry West for your event is $30,000 - $50,000. Jerry West generally travels from Los Angeles, CA, USA and can be booked for (private) corporate events, personal appearances, keynote speeches, or other performances. Similar motivational celebrity speakers are Earvin "Magic" Johnson, Billy Donovan, Larry Bird, Julius Erving and Pat Riley. 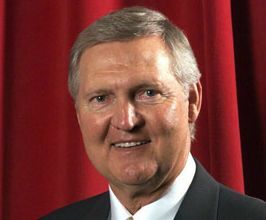 Contact All American Speakers for ratings, reviews, videos and information on scheduling Jerry West for an upcoming event. 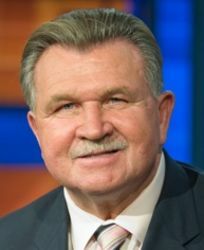 Legendary Coach of the Chicago Bulls and Los Angeles Lakers; President of the Knicks; Author of "Eleven Rings: The Soul of Success"